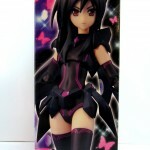 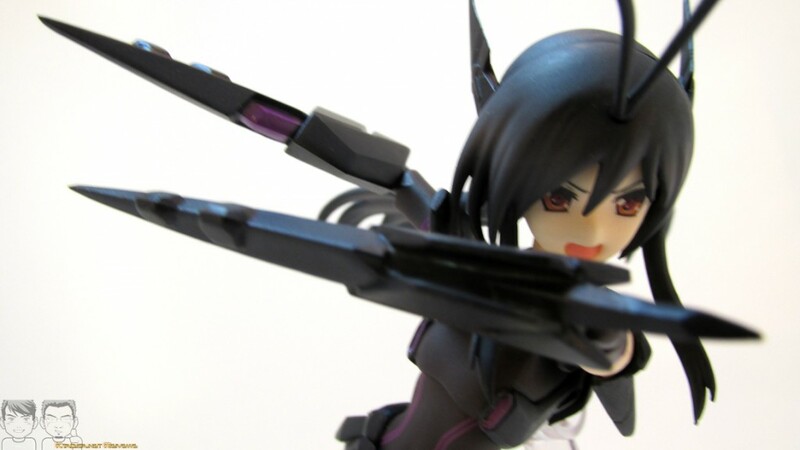 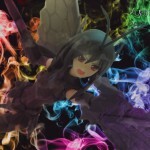 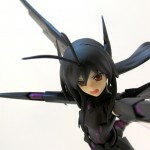 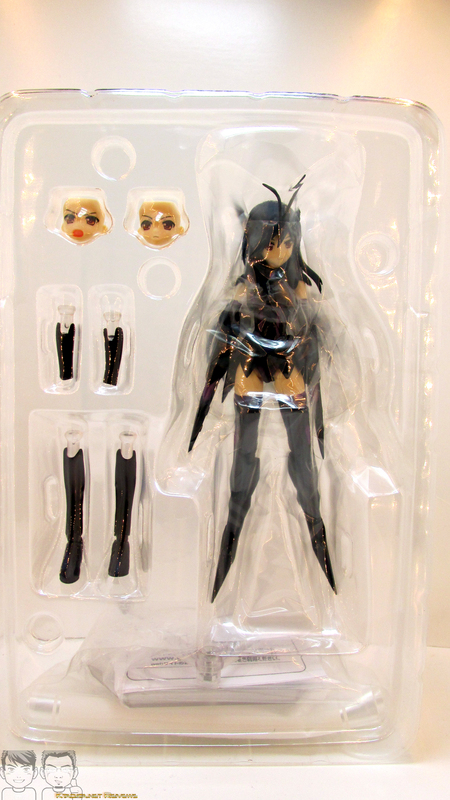 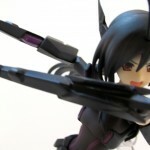 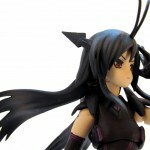 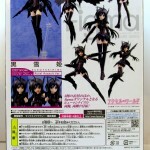 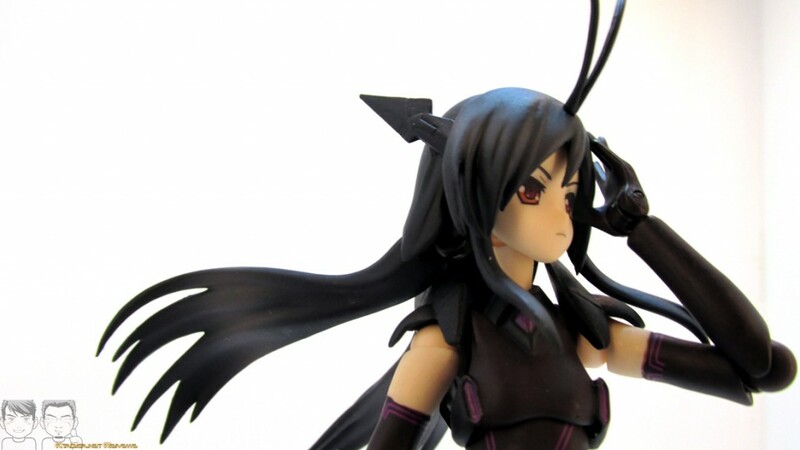 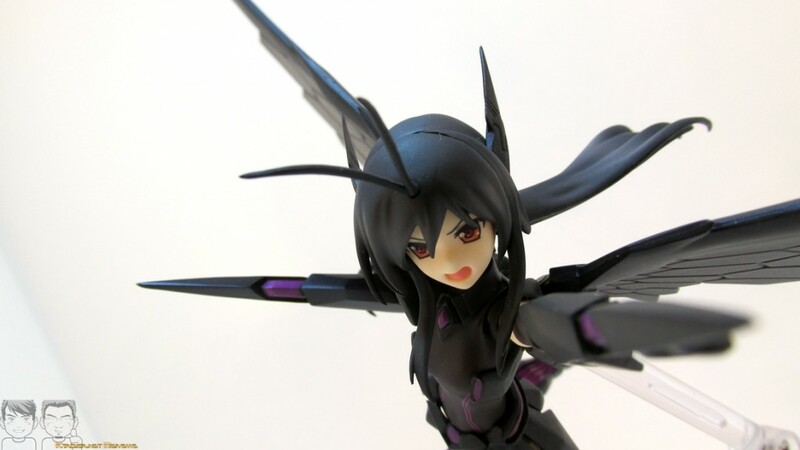 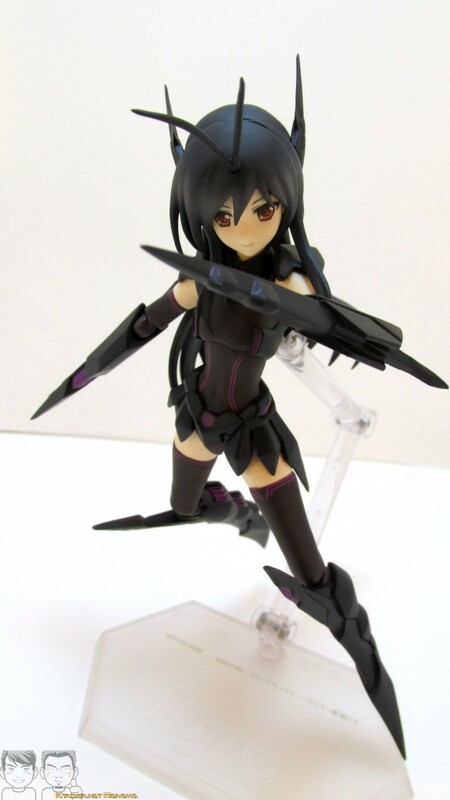 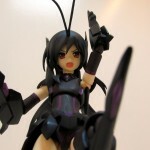 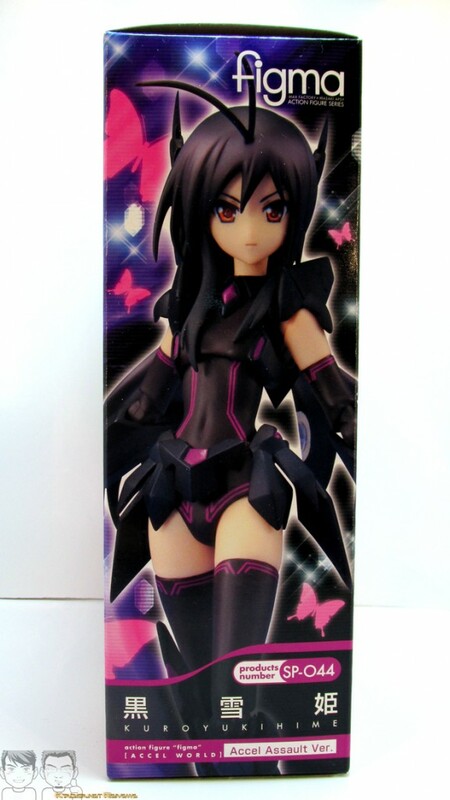 The World Of Ktdata » Blog Archive » Kuroyukihime Accel Assault ver. 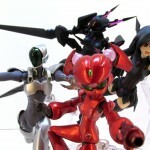 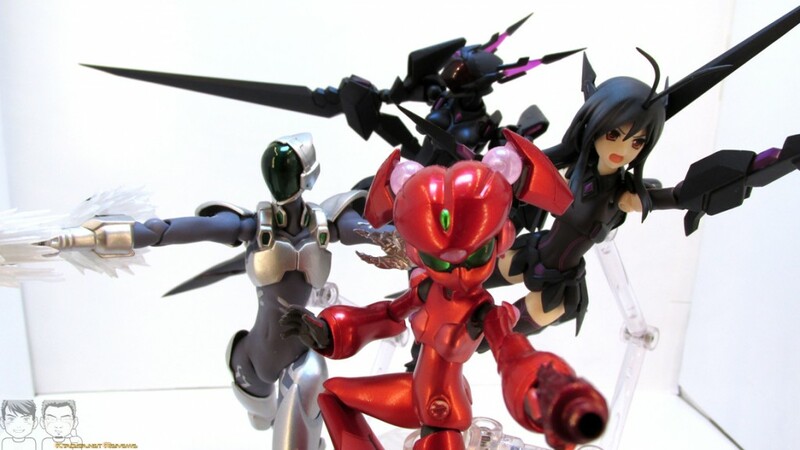 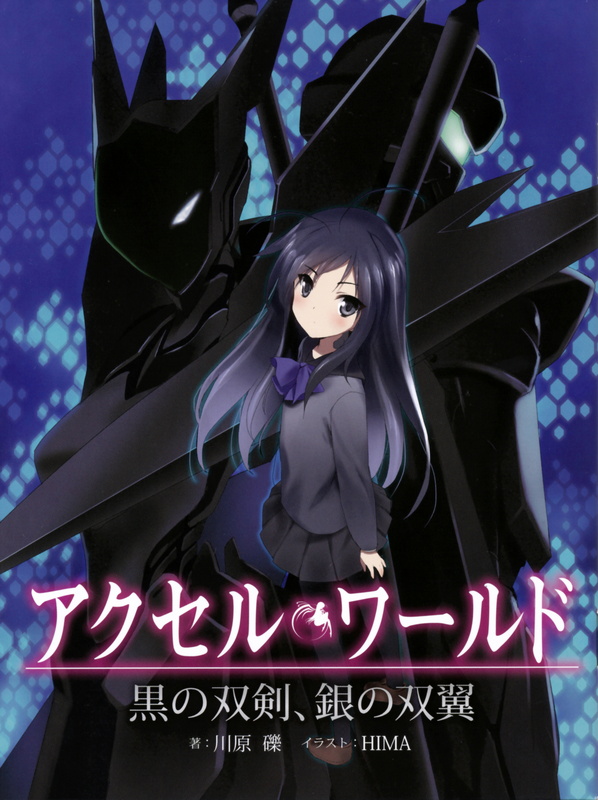 After Accel World finished up a OVA came out were Haru and his friends are looking for the “network troublemaker”. 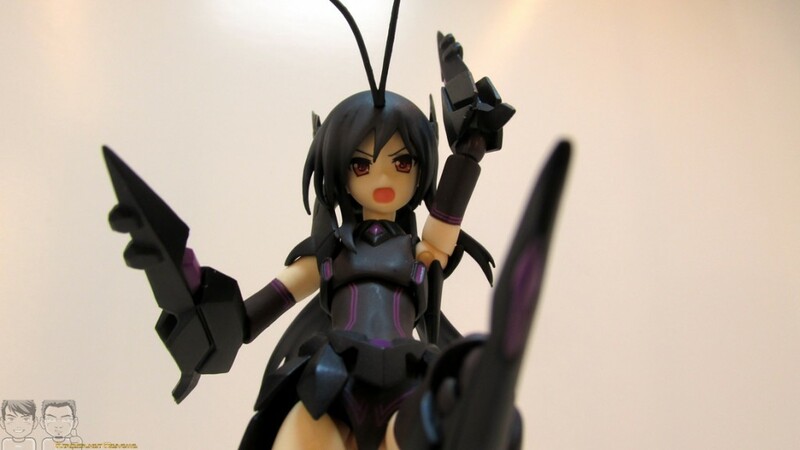 In a nutshell they find themselves in an area of the net where they can not use their Burst Link forums but another version of them. 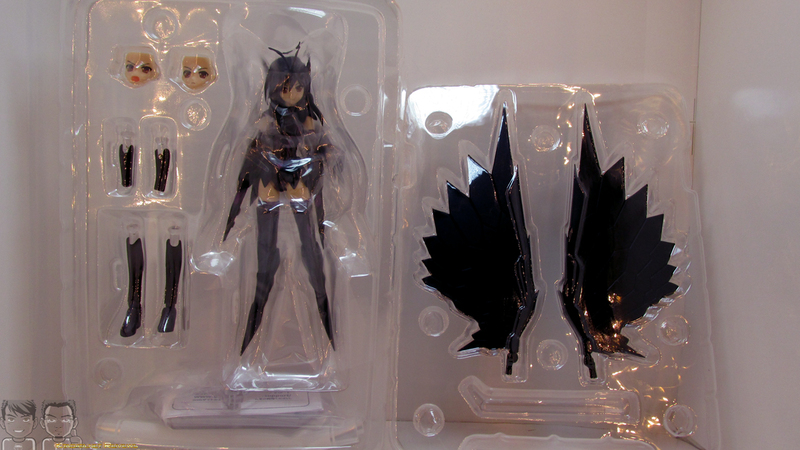 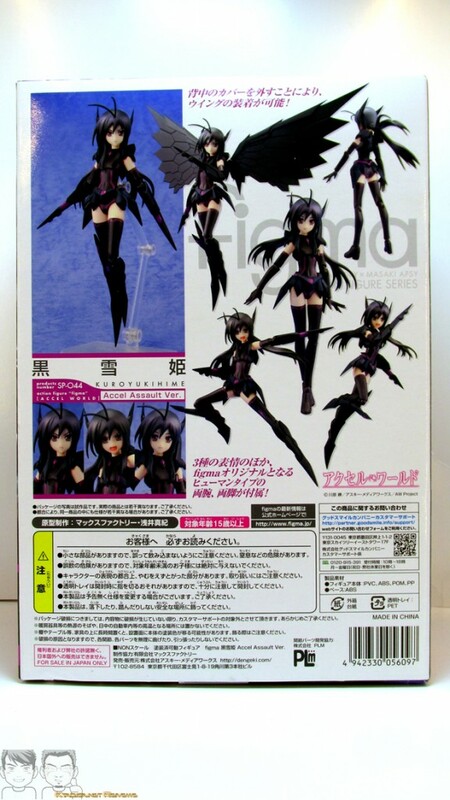 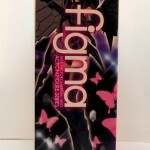 Here in the Figma version we see Kuroyukihime’s Accel Assult version but her wings is actually Haru combined on to her. 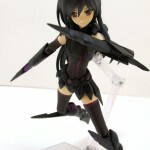 Just like her Burst Link forum she doesn’t have hands or feet but blades. 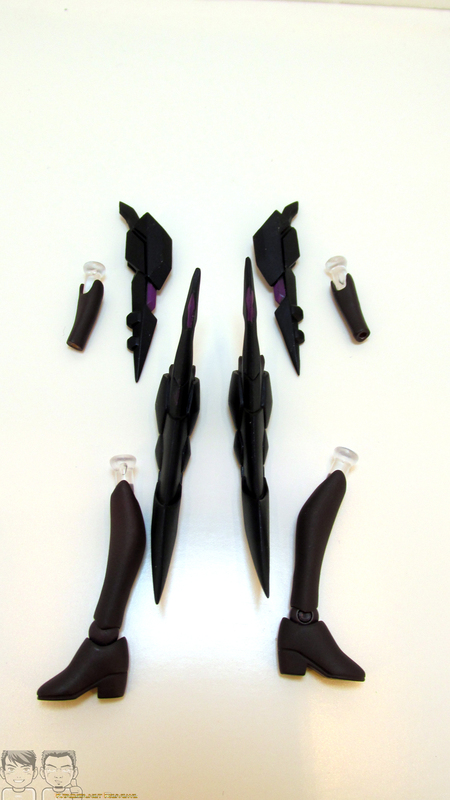 They also included an extra set of arms, hands and legs for her so she doesn’t need to use a stand but as cool as it is to have them I’m still fond of the blades. 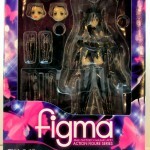 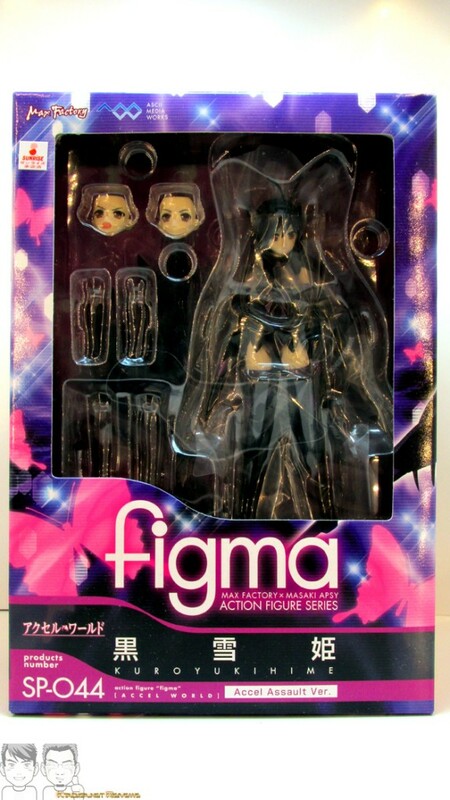 If you have Black Lotus you can switch their parts back and fourth but there are some things you’ll need to be aware of on this Figma. 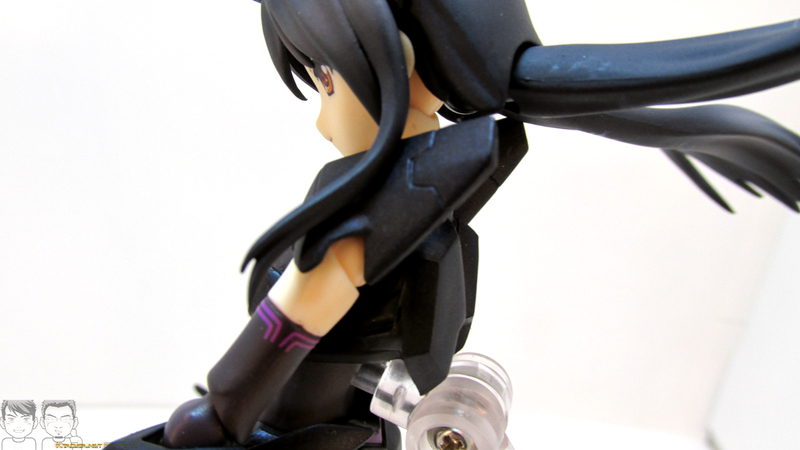 One is her shoulder accessories, they are held on by a piece of rubber and if you try to move them out of the way to much or they get in the way of some pose and are stretched to much, they could break off. 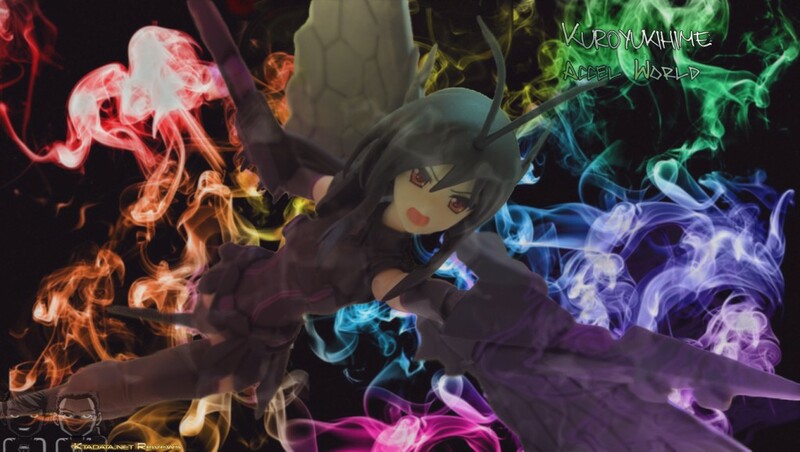 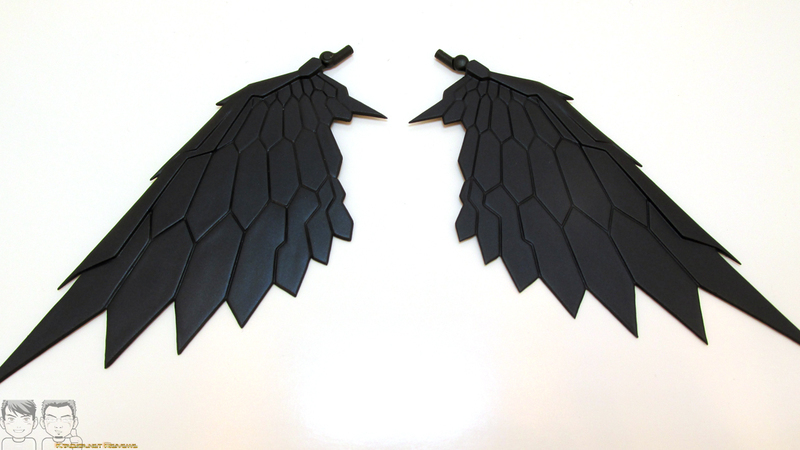 Another thing is her wings, like Silver Crow their are covers for where her wings plug in but if you don’t place those parts some where you know of and get lost they are a pain to find since they are black. 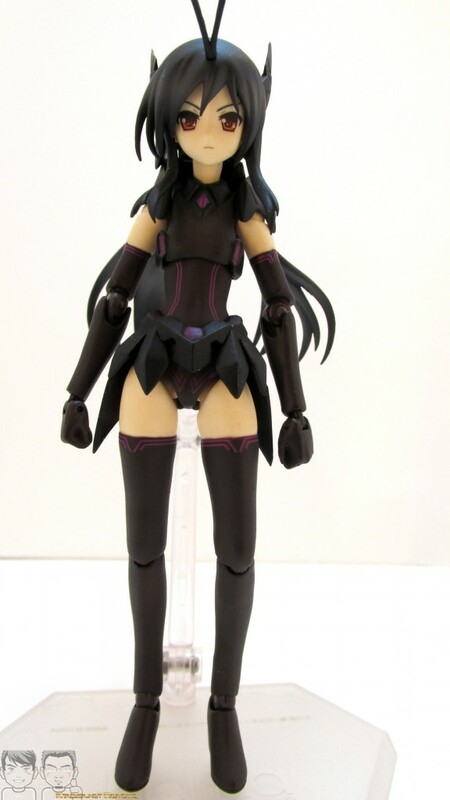 If you’ve been collecting these Figmas then Kuroyukihime is a must for your collection but the down side is that she’s very limited and might either be hard to find or pricey. 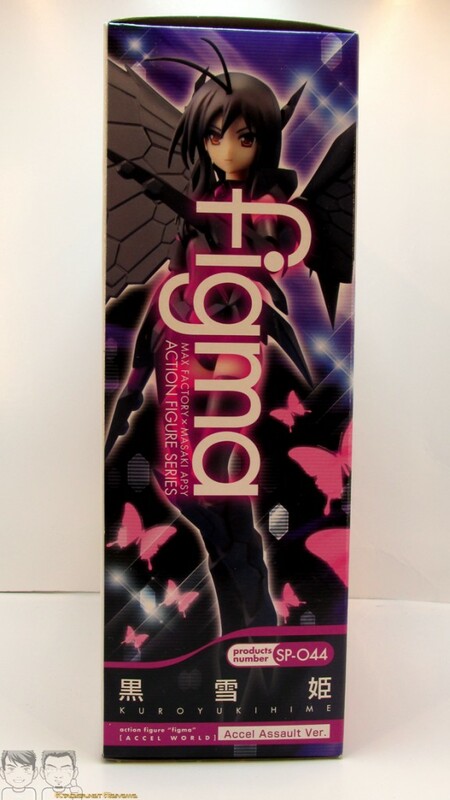 But over all I would have to give this Figma a 8/10 because it was a well put together Figma but only really lacked in being more to scale to her Burst Link version. 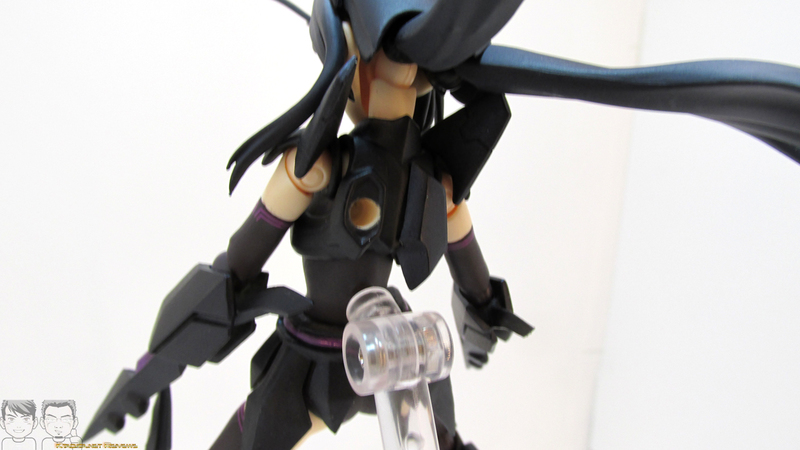 In to the world of VR!